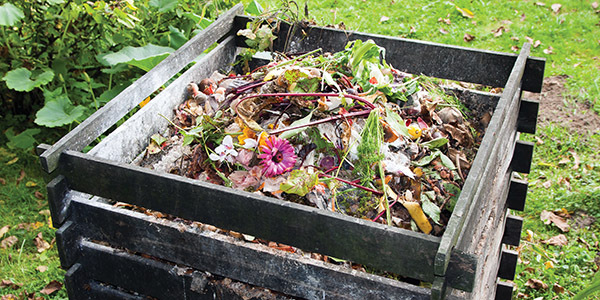 A composting operation can contribute significantly to the bottom line of a farming business, especially when it incorporates and processes off-farm residential or commercial waste. However, selling compost should not be seen as a way to generate quick and easy income—it’s a major undertaking that requires the same commitment as any other farm task. Before you embark on a detailed plan or hiring a consultant, a few preliminary considerations need to be addressed. First, find out if your farm is allowed to have a compost operation. The answer will depend on its location, the origin of compost material (feedstock) and the amount of compost to be sold. Since the compost market is typically local, you will be competing with other composting or waste-disposal facilities, where landfill tipping fees may range anywhere from free to more than $100, so you need to find out if a market exists for your compost. At least half of all compost produced at a site must be removed annually and cannot be stored for longer than nine months. Long hauling to customers may result in an overstock. If all of the feedstock is generated on the farm, the operation cannot be prohibited but only regulated. The same is true if all the compost is used on the farm even if the feedstock is off-farm. The pertinent laws governing compost operations are the Agricultural Land Reserve Use, Subdivision and Procedure Regulation; Organic Matter Recycling Regulation; and Agricultural Waste Control Regulation. Things get tricky if off-farm feedstock is also used for compost sales. If up to 50% of the compost is sold, the operation is deemed to be permitted farm-use unless regulated by a bylaw. As soon as sales exceed 50% by volume, the compost operation is deemed non-farm use, and you must apply to have the land excluded from the Agricultural Land Reserve. If the off-farm feedstock is not agricultural waste, the compost must meet the quality, process and pathogen-reduction criteria of organic matter recycling, whether the compost is applied to the land or sold. Typically, this is not an issue for a master composter but it affects the way the operation is managed. You also must budget for regular compost testing because commercial and residential waste often contains large amounts of contaminants like plastic bags. Their removal, typically by screening, is often the single largest operating cost, as well as a source of odor. Other regulations and by-laws will apply depending on the location of the farm, but these are typically less of a problem. The operation must also comply with regulations concerning water management and airborne emissions because odor complaints by neighbors are the main reason that they are closed down. Although, there is no zero-odor composting operation, odor can be minimized with appropriate equipment and management, but these measures can be quite costly. This is especially true in the case of putrescible feedstock like residential waste or certain meat and dairy waste products. Liquid putrescible waste will also requires the purchase of large amounts of bulking agents if you don’t have access tocarbon-rich material such as wood chips or yard waste. An off-farm waste composting operation, therefore, must be at least 2 km from sensitive locations such as hospitals, nursing homes or residential housing. However, odors can easily be carried far beyond the 2-km buffer zone, so the prevailing winds of the area might limit the number of operating days. A composting operation may also attract wildlife, noise and traffic, and this may affect relations with neighbors. A preliminary sketch showing all key areas, distances to sensitive areas, prevailing wind direction, open water sources or aquifers, buffer zones, and topography is often very helpful. A big-cost item that is often forgotten is site surface preparation. Receiving, storage, processing and curing areas need to be located on an impermeable surface, usually asphalt, to comply with the Organic Matter Recycling Regulation. A ballpark estimate is 1.5 square metres per cubic metre of waste, but the exact area depends on the type of waste and technology used. In addition, the design of the facility must permit the control, and usually the reuse, of run-on and run-off liquids unless an agrologist or other qualified professional determines that the measures taken to protect the environment and water quality are adequate. Whatever the solution, grading needs to be considered when selecting and designing the site, as does accommodation for larger trailers and fire trucks. Customers may rethink hauling costs if they need to stay for more than 20 minutes on your site to load or unload waste or compost. Depending on the technology, the capital costs of a composting operation can be relatively low—basically a loader and perhaps a screener for windrow operations. In-vessel systems, on the other hand, are often costly. As a rule, the lower the investment cost, the higher the operational cost. If off-farm feedstock is used, hauling costs to the operation and consistency of supply (continuous or seasonal) need to be factored in. Once you feel confident that all of the above is manageable, you may consider becoming a composter.